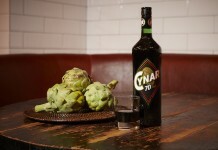 Many believe that “fernet” refers to Fernet Branca, but in reality it refers to a style of amaro which is bitter and intensely flavored. Fernet has somewhat of an underground cult following among bartenders and is extremely prevelant in craft bars in San Francisco, New York, and Portland, Oregon. As with the Leopold Bros. Marashino Liqueur, Fernet Leopold came about after a number of long conversations with a bartender, in this case Greg Best at Holeman & Finch in Atlanta, who mused about an American made fernet. After years of development, Fernet Leopold Highland Amaro was born. 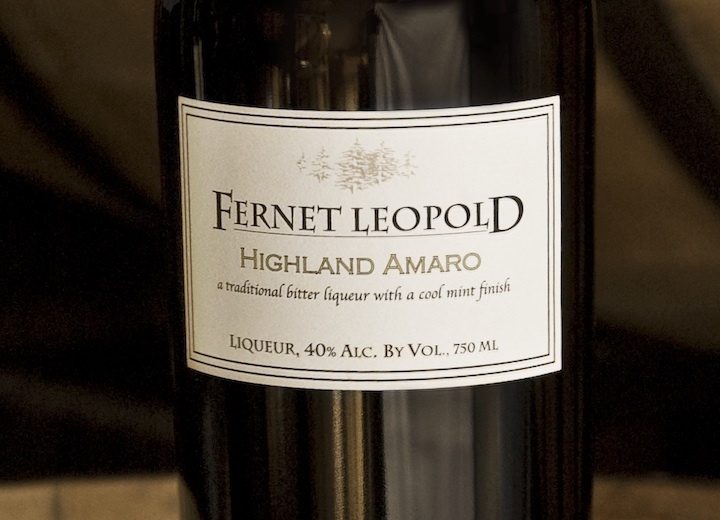 Fernet Leopold Highland Amaro ($32, 40% / 80 proof) – the first note that jumps out in the nose is mint. Leopold uses three different kinds of mint, and that mint medley is apparent in the nose. Once you get past the mint, you’re met with a complex symphony of aromas, a blend of chocolate, bitter aloe, bergamot, lavender, vanilla, and the slightest hint of smoke. There’s a lot to dig through on the nose which is both entrancing and inviting. The entry of Fernet Leopold is strongly bitter, an intense opening that slaps you across the face and explodes on your palate. This intense hit of bitter ultimately evolves into a mix of rooty and floral flavors including ginger, gentian, hops, lavender, rose, and bergamot. There’s both a medicinal and slightly smoky quality to the midpalate, which has so much going on it’s hard to figure out which way is up. It’s the bergamot that carries this fernet through the end of the midplate where the bitterness begins to decelerate and the mint really begins to emerge. At the finish the fernet takes on a slightly sweet quality to it to complement the bitterness, with a sweet rose note that’s accompanied by a flash of spice. The close is cool mint which lingers for a very long time. Fernet Leopold Highland Amaro is filled with some great ideas (perhaps too many), and it feels like it’s trying to do too many things at once. On the nose the great number of elements are inviting, but on the palate it’s just too much. 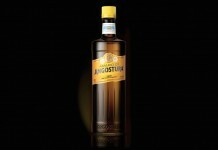 This fernet is also extremely bitter, far more than the average imbiber could tolerate, and even beyond the tolerance of most amaro fans. In many ways Fernet Leopold is exercise in excess – three kinds of mint, three bittering agents, three different floral components, and ginger, and cocoa, and vanilla, and more… It’s just too much. We love the fact that the Leopold Brothers made an American fernet and there are some really interesting and unique elements to it, but they just don’t come together with the same level of finesse that we’ve come to love about Leopold’s spirits. It’s not that we don’t love what they are trying to do with this fernet, we just don’t love how it turned out. Next articleIs Air Alcohol Water the New Vodka Soda?